Light urban railways and tramways have become one of the most popular and in-demand forms of mobility for cities around the world facing rising populations and intensified urbanisation. But with these significant increases in demand, railway operators face greater challenges in relation to safety and supervision of the operation. 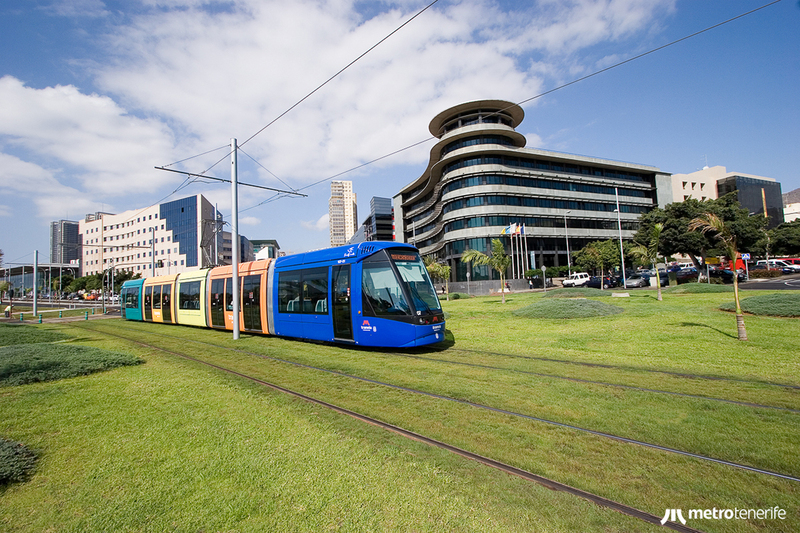 Metrotenerife, the operator of the tram network on the island of Tenerife, offers a novel driving aid for light railways and trams as well as conventional trains – SIMOVE. This sophisticated tool continuously supervises operations and, at the same time, helps to prevent accidents caused by excessive speed. a reduction in action times and an increase in safety are just some of the immediate benefits of this tool. It also has a reliability rate of 99.985%. Based on the compilation of real-time data using GPS and odometer, making it possible to monitor how vehicles are driven on each section of a route, the system takes samples up to ten times a second. The resulting records are stored on a centralised database, with the capability to generate rapid and reliable reports which make it possible to exercise exhaustive control of the operation at all times. In terms of safety, SIMOVE generates audible and visual warnings and is capable of activating a vehicle’s emergency brake if its speed rises beyond that indicated for a route section and there is an imminent risk of an accident. The system also generates maps of event hotspots, facilitating the identification of ‘black zones’. If an event arises, SIMOVE can also issue alerts in real-time to a supervisor’s smartphone or tablet. Apart from the obvious benefits of these basic functions, SIMOVE is a very useful tool for vehicle maintenance, featuring a characteristic for detecting wear and tear on wheels, thus avoiding unnecessary maintenance costs. Since its installation in 2016, this technology has demonstrated excellent results at Tranvía de Tenerife. In the first instance, improvements in driving behaviour have been observed and there has been a significant reduction in emergency braking – both of these factors have led to an increase in passenger comfort. Furthermore, it is now possible to detect excesses in speed which had previously gone unrecorded and put corrective policies into place to prevent future situations of risk. Additionally, Tranvía de Tenerife has seen notable improvements in key indicators such as the punctuality and regularity of its service. As SIMOVE compiles data about dwell times at stops and termini, this valuable information is used for effective optimisation and planning of the network to increase the overall quality of the service provided. This success of SIMOVE has captured the interest of railway operators around the world seeking to incorporate this technology into their own operations. For example, SIMOVE has been installed on Madrid’s Metro Ligero Oeste tramway and Metrotenerife is currently in discussions with other operators – within Spain and internationally.